Rumal was his racing name and we decided to keep it (it was pronounced "Rommel" like the German general). He was born on March 25, 2001 and adopted by us in October of 2004 when his career ended with a broken leg. He ran 121 races all at Jacksonville/Orange Park in Florida. He passed peacefully on June 5, 2014. 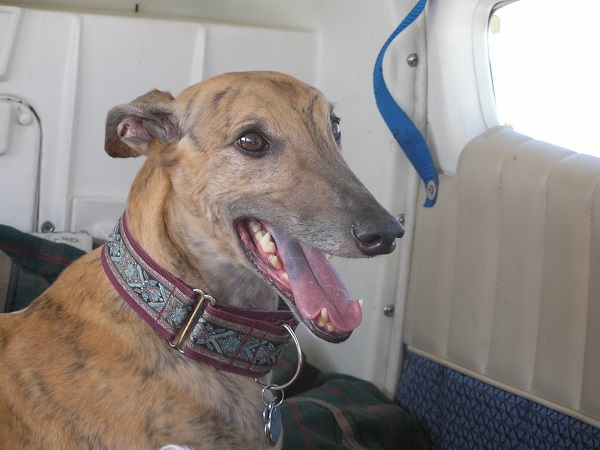 He was adopted through Greyhounds as Pets of NE FL.